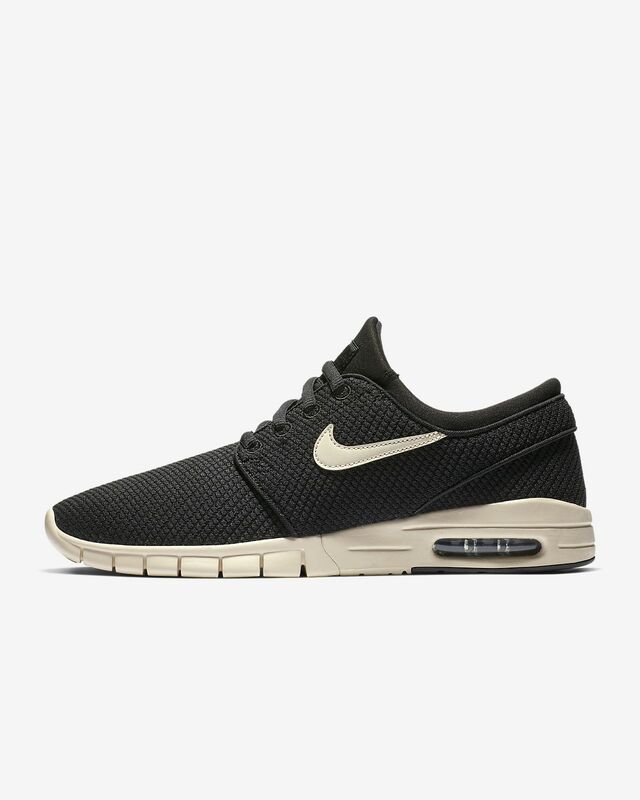 The Nike SB Stefan Janoski Max is a breathable, lightweight design that's engineered to flex with the foot. It features a Max Air unit and foam sockliner for comfort and cushioning on the board. 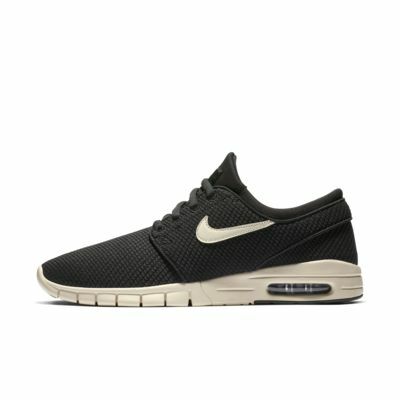 The Nike SB Stefan Janoski Max is a breathable, lightweight design that&apos;s engineered to flex with the foot. It features a Max Air unit and foam sockliner for comfort and cushioning on the board. These shoes are comfy, but the sole is wearing out quicker than I'd like. And they're squeaky!! Every time I take a step they squeak, which is really annoying at work. I've owned a few pairs of Jan's, and they are probably the most comfortable shoes I've ever owned - not to mention the best design around. I normally wear a 10 but 9's fit perfect. Great for summer as they're super light. The Air in the back sole are what make these extra comfy for everyday use. For the latest in NikeSB news, follow @nikesb on Instagram.